You are here: Home » Magento Ecommerce Platform » Why Switching to Magento E-commerce Platform is Beneficial for Startups? Why Switching to Magento E-commerce Platform is Beneficial for Startups? What is so unique about the e-commerce businesses that offline retailers are lacking and unable to prosper with the same speed as online businesses? What is the reason behind online businesses being to target audience successfully and swiftly? The answer to all these questions is an easy access to products or services, convenience, time-saving approach and outstanding customer service offered by e-commerce business. Evidently, the growth in the sales of e-commerce businesses every year is driving aspiring entrepreneurs towards this potent platform. 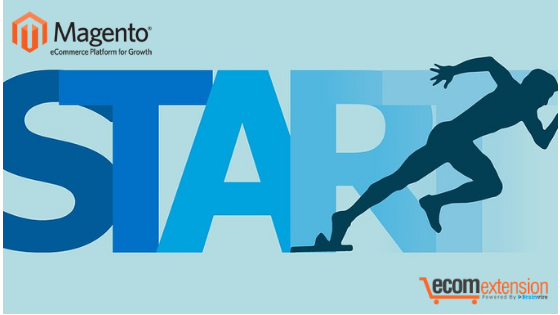 There are multifarious development platforms available in the market, but we suggest startups to switch to Magento e-commerce development platform to relish an uncompromising growth. This is the best way to place your business in front of millions of shoppers. The reasons why Magento is the best platform for making a successful debut in today’s competitive e-commerce world are listed below. Site optimization to increase incoming traffic becomes easy the impeccable SEO features offered by Magento. With the help of this e-commerce developing platform, you can tailor the look of your online store the way you want it. Magento is an open source platform that has a large array of extensions that helps in developing a unique and out-of-the-box storefront. It also offers thousands of customizable templates whose installation is suggested to be looked by a specialist. It allows you to create a design that is impressive, eye-catchy and most importantly responsive and can be operated with any device. At Magento’s marketplace, one can find various real-world problem-solving extensions that are developed and deployed by community members. So, there is a high possibility that the functionalities you are looking to have in your e-commerce store will be available as a ready-to-use extension. Features like product search, Facebook login, banner sliders, etc. can be added instantly in your store with the help of extensions directly. Magento’s CMS capabilities are exceptional as it comes with a user-friendly CMS that helps store owners to manage settings and configuration task easy. Also, it makes management of everything from the catalog to products to payments to various other aspects smooth and quick. Additionally, creating and publishing content on the website has become a piece of cake now with the robust CMS capabilities of Magento. Safety and security is every person’s point of concern especially when the environment is full of hackers trying to breach the database every time. Being an open source software, it is always tested and tried by a vast number of developers and testers. Another benefit is that it undergoes a constant check for defects or bugs or any kind of vulnerability by uploading patches. Whenever any updates arrive, you get notified about them right away. Taking all the benefits into account, it would not be wrong to say that Magento e-commerce platform is the most appropriate one for the small businesses or startups in the present time. It is equipped with the best features that will help you come up with an e-commerce store that will create a strong online presence.